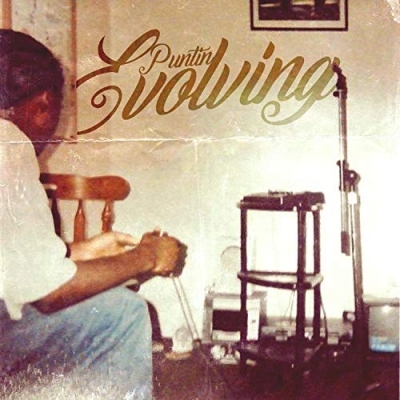 Puntin, an American Hip Hop artist, entrepreneur, and record producer, releases his new EP 'Evolving'. Puntin has performed on the same stages as Kirk Franklin, Tye Tribbett, James Fortune, Ludacris, Juvenile, Mystical, Paul Wall, Chamillionaire, and Lil Flip. He has toured overseas in England, New Zealand, and all across the U.S.
Read More Puntin, an American Hip Hop artist, entrepreneur, and record producer, releases his new EP 'Evolving'. Puntin has performed on the same stages as Kirk Franklin, Tye Tribbett, James Fortune, Ludacris, Juvenile, Mystical, Paul Wall, Chamillionaire, and Lil Flip. He has toured overseas in England, New Zealand, and all across the U.S.
'Evolving' the EP has everything you want from a rap record. This is a real record, a raw record, and an honest record. It’s Puntin telling you how he feels, but not in a generic way, he tells you in a true way that makes you listen. For me the strongest track on the record is the title track, Evolving. This is by far the best track on here and is the main reason this record was released. Puntin might be unknown to many, but if you are into the world of rap music then this record might be worth a little listen. As he is so active on social media, this talented artist might be worth a follow.